Nationally | Virtually Anywhere in the World! We wanted to share a little bit about us below. Like my beautiful wife, organizing is in my DNA as well– however, it was not only thanks to my mom, in her requirement for me to clean and organize since I was about nine years old, but also during my 28-year career as an active duty Marine that further developed and demanded organization from me as well! My important home training was distinctly enhanced by a highly organized systematic military culture, a culture that I am very proud to have been, and continue to be, part of today. With that stated, I did not adjust to my mom’s high standards as a young boy growing up in Ferguson, Missouri. As one might imagine, as a male, housework was not your typical masculine skill set (in my mind), though I also performed the stereotypical outdoor work and heavy lifting chores (just to name a few). They all collectively constituted my many required roles as the oldest of three siblings and as the only male in a two-working parent household in the 1970's and 1980's. It was not until I joined the Marine Corps, however, when I realized what a valuable skill set I possessed, as the Marine Corps required perfect order and cleanliness daily and continued to be a strict requirement during my tenure. With more than 20 moves with the military, 5 of those times being stationed in other countries - Iraqi and Japan, I became very proficient at packing, moving, and organizing. Once I began to appreciate my somewhat unique skill set as a male, it was quite like a fish taking to water, as I have always loved to be organized ever since and look to assist those in need. I also began to realize that organization was not just a term that should be associated with the physical creation of order, that it also applied to many other parts of life (e.g., workplace order, teamwork, team building, financial order, etc.). Therefore, my wife and I realized that we should look to help others within so many more dimensions of organizing/organization, so we began to align our educational skills with our experiences around Holistic Organization. In addition to my 35 years of management experience, I have a Bachelor of Science in Education Degree, majoring in Workforce Education and Development and a Master of Science in Education Degree, majoring in Human Resource Management and Development, both from Southern Illinois University Carbondale, (Go Salukis!) and a member of the Golden Key International Honour Society. Furthermore, I am co-owner of Etched Motion Productions and serve as the Chief Officer of Organizational Development, and I am an Executive Producer of an upcoming film Origin: Beyond the impact. In serving my community, I am an alumni Fellow of the nonprofit organization The Mission Continues, ﻿ an organization which allows veterans to lend their skill sets to nonprofit organizations of their choosing in order to increase community outreach, bridge cultural gaps, and to forge enduring communal relationships, an experience in which earned me the Gold Presidential Volunteer Service Award. My experiences both academically and within the military are directly tied to organizing and collaboration, and my commitment to education remains sound. As a strong testament towards that commitment, I hold an Educational Doctorate Degree (Ed.D.) in Organizational Leadership (17')! All to better assisting you, our customers, with realizing your alluded organizing resolutions! ﻿Change i﻿s inevitable ﻿﻿an﻿﻿d﻿﻿ is created by either internal forces, external forces, or both (Anderson & Anderson, 2010a; 2010b). However, before one can recognize the forces of change, or effectively operate from within it, one must be willing to change themselves first, and this starts with internal reflections and the establishment and understanding of a person’s prospective values and beliefs (Anderson & Anderson, 2010a; 2010b; McKee, Boyatzis, & Johnston, 2008). Two of my top five values are equality and compassion. My wife and I are very understanding and do not pass any judgment based on the condition of unorganized areas. I offer to you a quote from one of my favorite movies, The Shawshank Redemption, that to me typifies triumph over criticism and ridicule. It has been a source of my optimism when I reflect back upon the contributions of service to my country and community concerning its future, it simply states that “Hope is a good thing, maybe the best of things, and no good thing ever dies” (Marvin, N. [Producer], & Darabont, F. [Director], 1994). In the course of emotional growth, amid intellectual stimuli, one is assured the aptitude to reflect upon their dexterities through effective and meaningful communication involving like minds, and best describes what I refer to as irrefutable change. Simply stated, through education and genuine support—one can grow. Through our organization and utilizing my progressive skill sets, irrefutable change encapsulates my continued hope and ambition towards the accumulation of my life’s work in wanting to mentor, coach, motivate, or educate as many people as possible on how to be personally successful in isolation or within cohesive groups through organization, integrity, and transparency, while also assisting them in realizing their individual resolutions—I will! Anderson, L. A., & Anderson, D. (2010a). Beyond change management: How to achieve breakthrough results through conscious change leadership (2nd ed.). San Francisco, CA: Pfeiffer. Anderson, L. A., & Anderson, D. (2010b). The change leader’s roadmap: How to navigate your organization’s transformation (2 ed.). San Francisco, CA: Pfeiffer. Marvin, N.(Producer), & Daradont, F.(Director). (1994). The shawshank redemption [Motion picture]. United States: Castle Rock Entertainment. McKee, A., Boyatzis, R., & Johnston, F. (2008). Becoming a resonant leader: Develop your emotional intelligence, renew your relationships, sustain your effectiveness. Boston, MA: Harvard Business School Press. View available services by clicking a button below. Have training with KIT "Kids Included Together" as part of our youth and teen volunteering. Born sixth out of seven children in my family, I always shared a room with my younger sister and you could always tell who's side of the room was whose. We were complete opposites - I was organized and she was not, at all (she is organized now). My side of the room was perfect and clean and her side you couldn't even see her bed or the floor. I did not realize until I was an adult, that I possessed a true gifted talent – organizing. I am a trained professional organizer, entrepreneur, coach, and co-owner of Organizing Resolutions with Starks. I am also a wife of a veteran marine, mother, grandmother, daughter, sister, friend, community volunteer, a co-owner of Etched Motion Productions, serving as the Co-Director of Organizational Development, and Co-Executive Producer of Origin: Beyond the impact. After spending the last 25 years in management, most recently within the dental field, which included positions of office manager, collections manager, and marketing manager, and prior to that within the retail industry, which included positions of a store manager and the director of merchandising in the beauty industry – which included designing floor-plans, setting up new stores and changing store layouts, a change was needed in my life to cut stress, principally after surviving ﻿breast cancer﻿ in 2011 (click here to see our donation commitment). With the unconditional support from my husband and co-owner, I walked away from managing others, and Organizing Resolutions with Starks was born! Now my office resides within the homes and businesses of others. 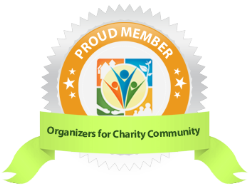 In additional to my 25 years of management experience, being a licensed insurance agent, and co-owner of a movie production company, I have received over 1000 hours of organizing training, and am a proud member of the Preferred Organizers Association. 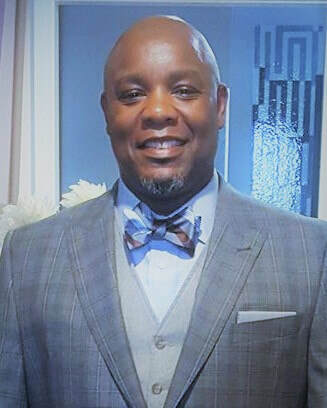 Additionally, I attend a minimum of 6 professional and personal development classes per month and consistently read articles and books, related to organizing and self-improvement, to ensure that I remain current with today’s trends in the organizing profession. I can relate to you ~ full-time job, married, kids ~ I was too exhausted when I got home from work during the week to do anything but eat, workout, spend time with my family, and go to bed. Then the weekend came ~ my To-Do List. Half the time I would never even get two things done on the list because I was so overwhelmed with everything I needed to do before going back to work on Monday. This cycle continued for years until I started Organizing Resolutions with Starks with my husband. Just because I am a Professional Organizer does not mean I am totally organized all the time. I am human just like you. The obstacle I have to work on the most consistantly is paper piles, but it is one of the things I love to organize the most! I actually do not like paper so I scan the paper or find the item online and download it into files on my computer that I can access anywhere I am. This is a process I can teach you too. I consider myself somewhat of a "professional mover." In the last 30 years, I have moved 15 times due to marriage, jobs, military moves, and life. I learned the ins and outs of packing, moving, and organizing, to be able to pass this knowledge on to our clients. I have always had a passion for technology and wanted to build a computer and a website. So, through self-education I taught myself how to do both, with our very own website being one of the results of my efforts. I am also the IT professional for our business, I am CompTIA A+ certified, as I maintain all of our computers and smartphones - fixing issues, running all the computer security software, and diagnostics to ensure everything is up to date. Through my progressive technological expertise, I will also look to help our clients realize their technological organizing resolutions as well! I love to buy quality products for the best price. I am an avid Ebay and Amazon shopper and will look to pass on this knowledge and skill to my clients. Now, it is so rewarding and meaningful to be the person who makes a difference in your life by helping transform your space back into a place where you can relax and work more efficiently. I will not only use my training, knowledge, and skills to organize and coach you on how to stay organized, but more importantly. I look to develop a genuine personalized, professional relationship with you that focuses on your needs and wants. Together, we will create a better purposeful quality of life for you by making transformational changes – changing habits and behaviors. Growing up in Fargo, ND, I have the "Midwest work ethics." I am a helpful, caring, and respectful person. I have a lot of heart, compassion, and empathy for those that need my assistance. I am very understanding and do not pass any judgment based on the condition of any of your unorganized areas. I know you do not want to hear a lecture or random information, but want to see results - which together we will create. For you to trust and allow me to help you with any of your organizing resolution projects is an honor. Thank you! Kathleen is a breast cancer survivor, after being diagnosed in 2011, as this is personal to us as it is to so many others. We are proudly committed to donate 5% of our net income as in-kind donations to breast cancer. As a veteran owned business, we are equally committed to supporting youth development, as we are also avid supporters and volunteers of community outreach organizations which look to support transitioning youth within and outside our United States Armed Forces. ﻿﻿﻿﻿Have Questions? Contact Us Today! Morning: 10 a.m. to 12 p.m. Afternoon: 12 p.m. to 5 p.m. Evening : 5 p.m. to 8 p.m. Weekends: 10 a.m. to 2 p.m.